What makes some friendships so special? The purest forms of friendship travels through all travails, shipwrecks, and still survives. What makes them different from the other? There is only one distinguishing factor – true friendship is unconditional. What Do You Mean By “True Friendship is Unconditional”? When there is a buy-one-get-one offer at your favorite store, you might see a fine print below that says “Terms and conditions apply”. In the purest of friendships, there are no terms and conditions. You know them as they are, understand what they have been through, accept what they have become as a result of it, and above all, allow them to grow. Friendships differ from other relationships in one obvious manner. Unlike in familial relationships, in friendships you have the power to choose. You choose to become friends with someone. This means, you are making a conscious decision on whom to befriend. At the same time, you can choose whom to defriend. So choose your friends wisely, because they have the power to change your life for better or worse. If your friendship is defined by a lot of ‘if-then’ clauses, then you cannot say that your friendship is unconditional. Everybody has a story. No two lives can be the same. They may have had a rocky past. They may be about to have an even rockier future. If someone is a certain way, different from how you expect them to be, they probably have a good enough reason for it. And no, not everyone has a choice to weave their life the way they want it to be. You may have done it the right way. Kudos to you! You may think your friend could have chosen to deal with the situation differently than how she did. And yes, as a friend you have every right to express your opinion. And even more importantly, you have the responsibility to guide her in the right path. But chances are that when they have had a setback, they need a shoulder to lean on at that moment rather than an over-critiquing best friend. So be that person. You can express your opinion later, after she has calmed down, at a time when she will need it. Let’s face it. To truly accept someone for who they are is not that easy. You might uphold a rigid value system. In order to accept, you need to understand. And in order to understand, you need to listen with empathy. Accept them with open arms for who they are. They may not be the way you remember them from the first day of college. But they are the same person. They did not change. Their circumstances did. We make mistakes. But that’s alright, because that’s just being human. As much as we think that we should learn from others’ mistakes, we often find ourselves in situations that we swore we wouldn’t put ourselves in. This is because life is a journey. We all have to make our own mistakes, only then we will learn from it. And when your friend makes that silly decision that landed her in trouble, do not say “I told you so”. There is no way to know you wouldn’t have done the same if you were in her shoes, however much you say you wouldn’t have. 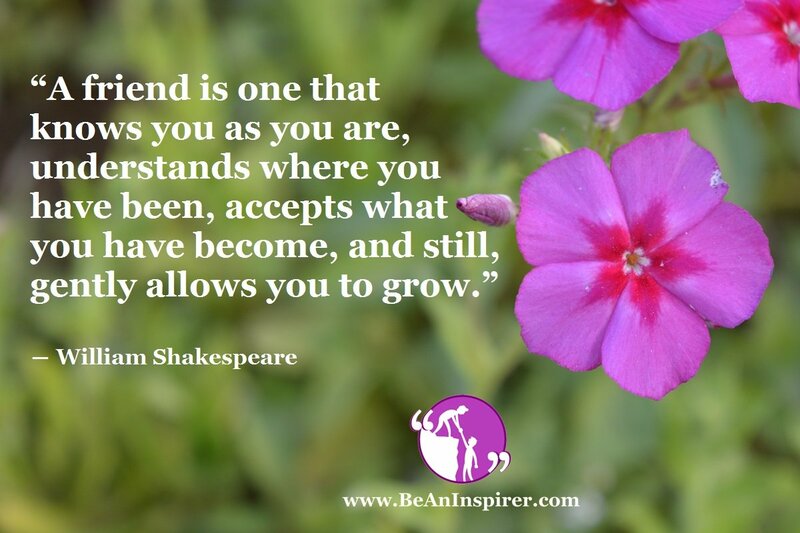 Do you think there is someone in your life, who you can look at and say – “our friendship is unconditional”? If you do, then you are luckier than you know. You have hit a jackpot. If you don’t, then it’s never too late to start loving someone unconditionally. Love your friends for who they are, love them for their indomitable spirits.